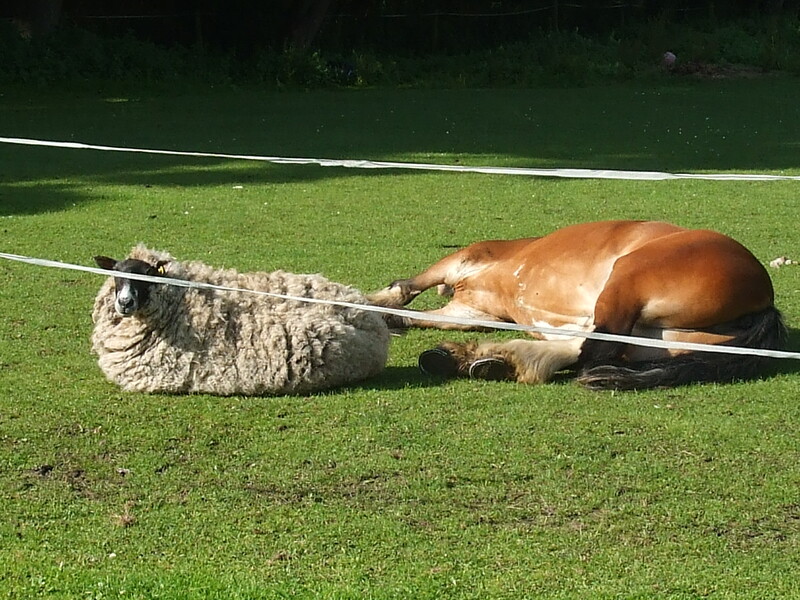 Sheep and horses usually mostly ignore each other in the field. 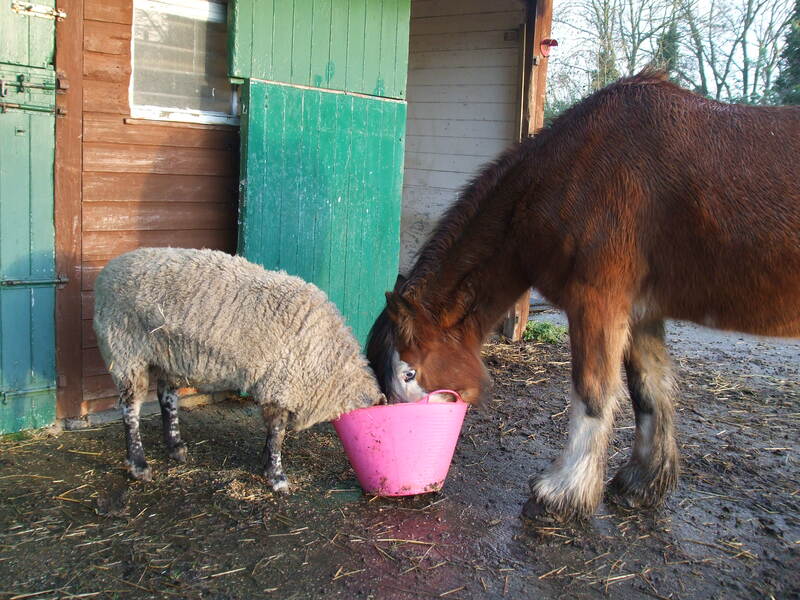 My hairy cob and elderly sheep, though, are inseparable friends. I think the fact that they’re both herd animals helps – they do the “one keeping guard while the other sleeps” bit. Here’s a picture of them relaxing this summer. What amazes me, though, is that they will happily share a food bucket – I’ve not known a horse willingly share food before. The relationship did come a little unstuck recently though. As they’re both native breeds and pretty rugged, they stay out most of the time but I leave the stable open for them to shelter in if they want. Recently I’d bought some really excellent quality straw (at least this year’s miserable excuse for a summer somehow produced a good crop of straw if nothing else). I put some down in the stable. Immediately, the sheep ran in there, circled a couple of times and lay down blissfully. The horse though nosed her off and started chomping away on her bedding. (Greedy animals, cobs – and more than just a little bit sneaky). Anyone else know of any unusual buddies?